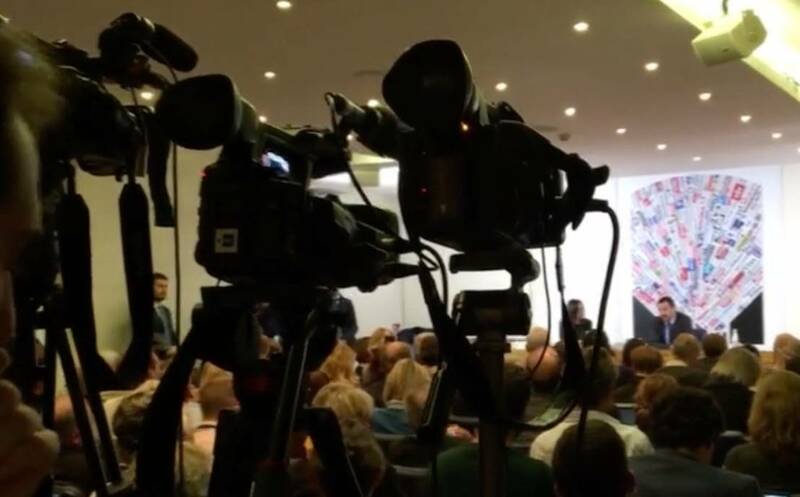 Speaking for over two hours Dec. 10 at the “Associazione della Stampa Estera in Rome”, Deputy Premier Matteo Salvini managed to smile while fielding dozens of sometimes challenging questions. On the eve of his visit Dec. 11 to Israel, he also announced that he would soon visit the United States. This provoked a slightly hostile query. "You are sometimes called Italy's Donald Trump. Is this true?" 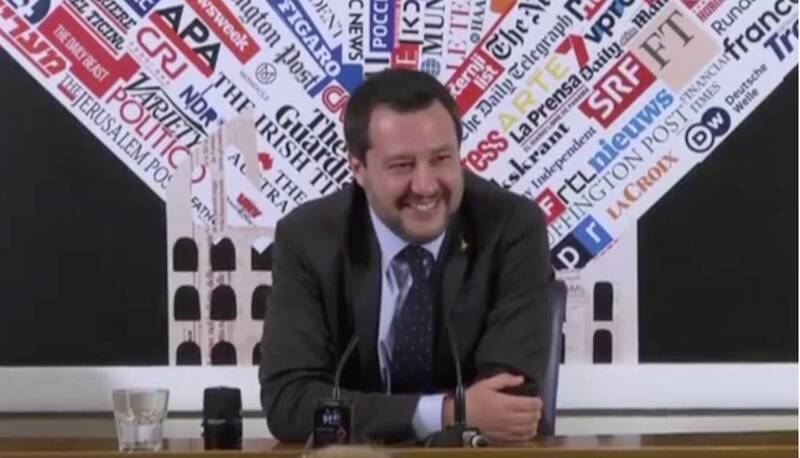 "Well, I don't have his money," Salvini tossed back with a laugh. Salvini is the head of the renamed Lega, the single most powerful party in Italy. He managed to transform the former separatist Lega Nord (which called for the North to secede from Italy) into what is being called a "personal party" -- his. From the periphery his Lega has soared to over 32% of the hypothetical vote, and his personal popularity to around 48% (Emg poll). By comparison with his partners in government, premier Giuseppe Conte, 46%, and deputy premier Luigi di Maio, mocked for dressing as if for his first communion, 43%. 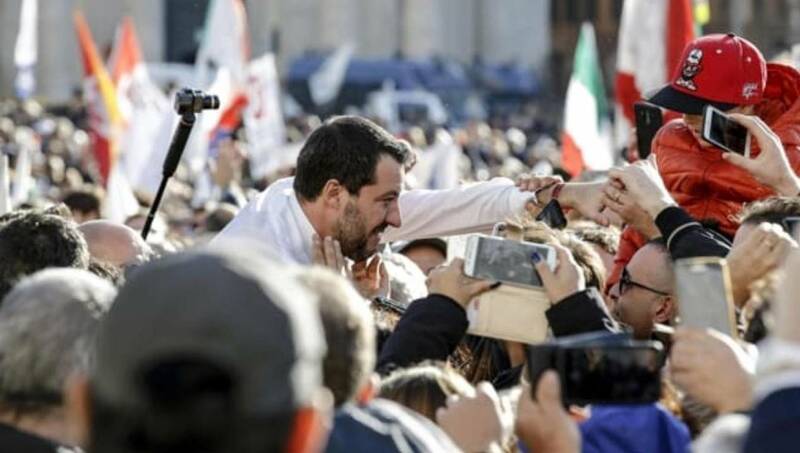 Salvini is predicted to become Italy's next premier, an important consideration because the risk of national general elections in the new year looms larger than even one week ago. His is a busy schedule. 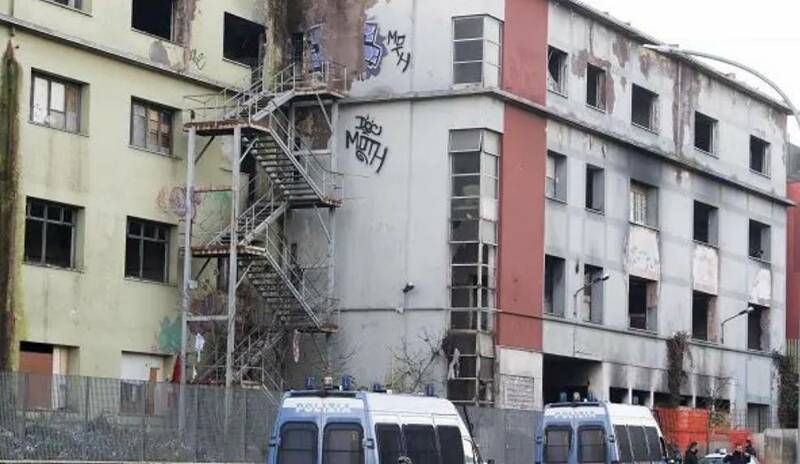 Earlier in the day, as Interior Minister, Salvini had been visiting the Roman periphery to oversee the expulsion of the last 40 migrants occupying an abandoned factory that had become a notorious hideout not only for drug dealers but also for refugees suffering from a whole series of serious diseases. 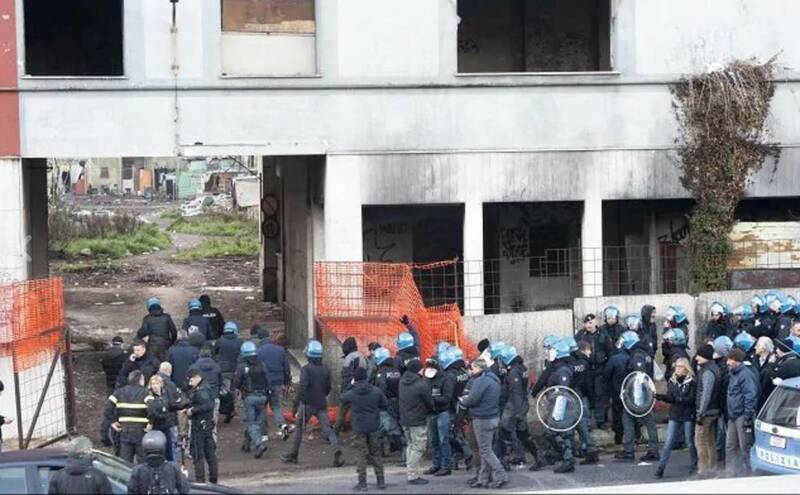 Because the cleanup was expected, at least 550 of its occupants had disappeared by the time the police arrived. Those remaining, who now have nowhere to live, were mostly legal. "If Salvini thinks that I live better at home, why would I accept to live in this misery?" asked Josef, 26, from Nigeria. "I didn't run away because I have nothing to hide." With him was Diop from Senegal, who has a regular residence permit, and who became famous for having saved an Italian's life by yanking him up from subway tracks just as a train approached. Not surprisingly, at the press conference at the Associazione della Stampa Estera just a few hours later, immigration was a main theme. Salvini defended himself skillfully from his questioners. "Sixty thousand came into Italy from Nigeria," he said, "and we sent back only a few hundred. I consider myself a guarantor of regular immigration -- regular and regulated. " On the other hand, whereas Premier Giuseppe Conte had assured Italian participation in the runup at Marrakesh for the forthcoming debate Dec. 19 at the UN on the Global Compact for Migrations, Salvini decided to stay away. However, "Fortunately the number of those dead in the Mediterranean is in decline, fewer are dead this year than last because fewer left, the number of cadavers found in Italian waters was 216 last year but only 23 this year, still too many." All those legally in Italy are entitled to social welfare, he said, including health services. At any rate, "My priority is the 5 million Italians living in poverty." By coincidence on Dec. 11 Amnesty International, marking the 70th anniversary of the Universal Declaration of Human Rights, issued its annual report on 2018 and prospects for 2019. The report criticized the Italian government installed in June 2018 for having "immediately distinguished itself through a repressive management of the migrant phenomenon...inflicting further suffering and undermining the entire system of maritime search and salvation." The government's recent decree on public security and immigration "seriously erodes the human rights of those seeking asylum, and will have the effect of actually increasing the numbers of those in Italy irregularly, exposing them to abuses and exploitation," said the report, which also criticized some Italian political parties for employing "racist and xenophobic" language during the recent election campaigns. Observers agreed that his tone regarding the European Union was slightly softer than in the past. "I intend to govern with my head and my heart," he said. "With all the humility possible, the Lega is trying to bring about a new Renaissance. I will do all in my power to find an agreement with the EU." At the same time he attacked French Premier Macron as a mere "laboratory product." "I will do all in my power to ensure that Italy does not emulate France, with barricades in the streets," he said. And all possible to renovate a Rome-Berlin axis which can give new vigor to Europe, he added; "There will be no Italian Brexit." On other foreign policy issues, he said that Russia "is part of Europe and should be brought back into Europe."